The allies of the USSR in World War II liberated from German captivity — the French are returning home. 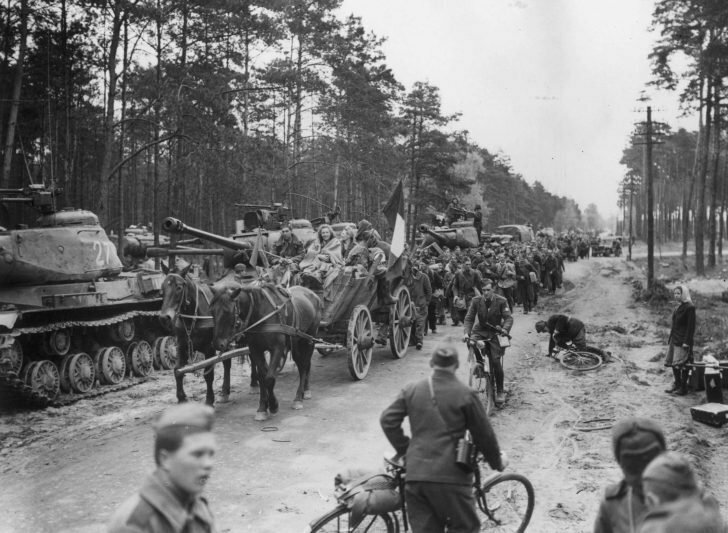 On the road west of Berlin, hundreds of people liberated by the Red Army from Nazi captivity and hijacked for forced labor in Germany are returning home. On the left side of the road is a convoy of Soviet heavy tanks JS-2.